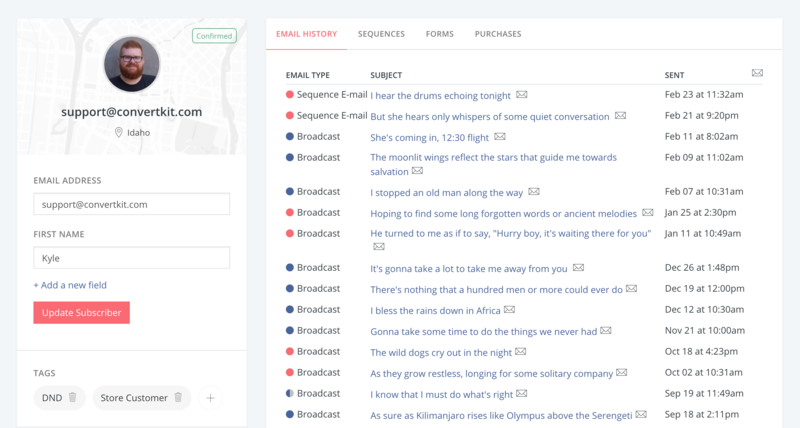 If you're importing a list from another provider, you may have information about your Subscribers that you want to come over as well, like last name, country, etc. Now you can import that information so it is stored within ConvertKit! 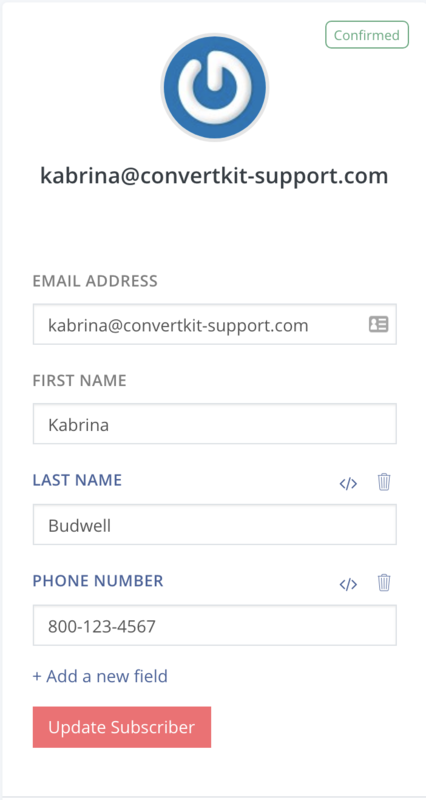 First, you want to create the fields you need in ConvertKit. To get started, click into any Subscriber profile on your Subscribers page. Note: Don't have a Subscriber yet? 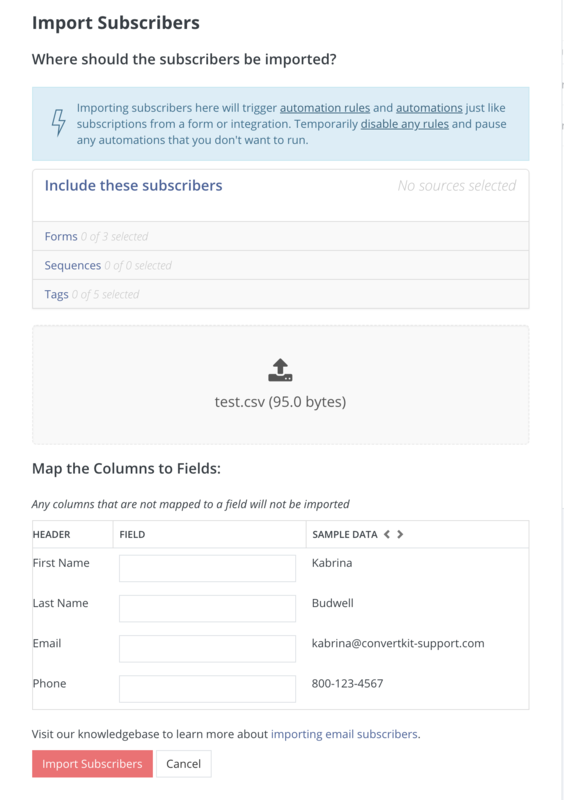 Add your email in to create the additional Subscriber fields! Next, under the First Name Field, click "+ Add a new field." You'll see two text boxes: one for Field Name, and one for Field Value. Field Name: What you are calling this field, such as "Last Name", "Phone Number", or "Address". Field Value: What should be saved in this field for the Subscriber? If you don't have specific information to add to the Subscriber, you can leave this blank. The names of the fields are completely customizable. Unless you decide to add them to your Forms, these fields are also internal only, so your Subscribers will not see them. Click "Add a new field" for each field you would like to create. Ready to import your .csv? Head back to your main Subscribers page & click "Import Subscribers." Add your CSV to the uploader. For each item under "Header", select a "Field" in ConvertKit that it should be mapped to, upon importing. Important: Make sure to map your CSV headers to the correct fields. If you don't, that information will not be added to ConvertKit. Now your data is added to your Subscriber's profiles! This will work for new Subscribers as well as existing Subscribers. You can find more information about Importing Subscribers here. 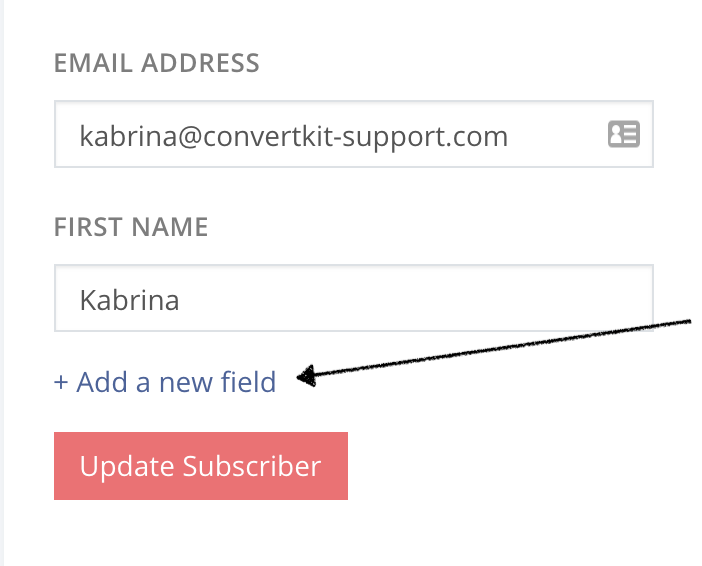 Note: If you import a CSV that includes existing Subscribers, the new info will replace and/or add to their current profile in ConvertKit. This is a great way to correct names or issues in bulk!